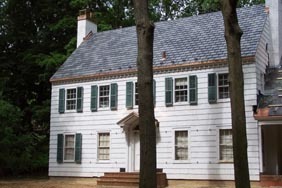 Titan Old World Slate is the ideal replication of slate roofing. Titan's Old World Slate composite roofing product is an extremely attractive alternative to concrete tile or slate roofing systems. Its lighter weight design eliminates the need for costly, reinforced structural support, and it is more efficient to install. The advanced, multi-colored offerings provide a natural, architecturally elegant roofing system. It truly gives the distinctive impression of a custom roofing design. Specifications for Titan Old World Slate recommend exposure at 10" but this may be adjusted to a lower measurement if desired or if a staggered application is used to achieve a rustic appearance. Height 24" ± ⅛" 24" ± ⅛"
Width 12 ⅛" ± ⅛" 12 ⅛" ± ⅛"